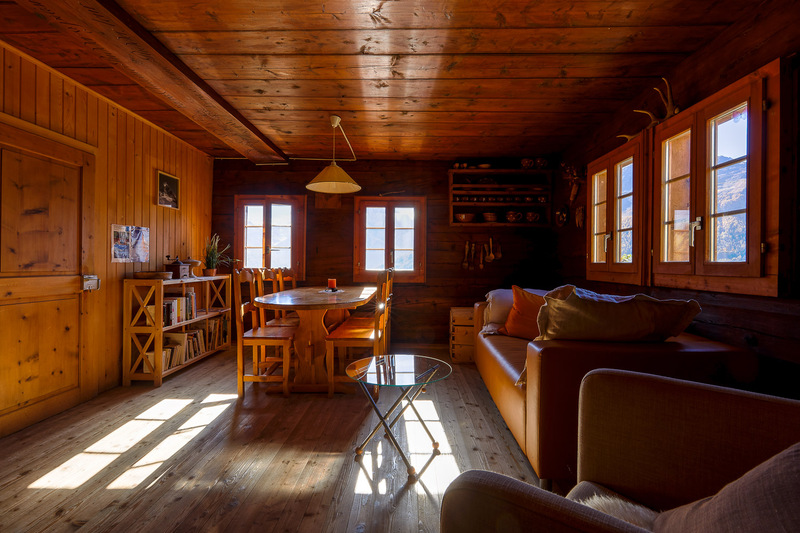 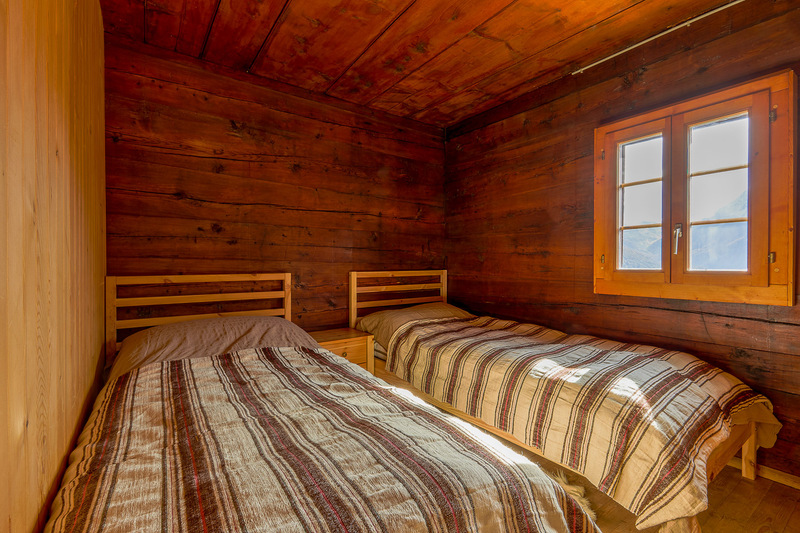 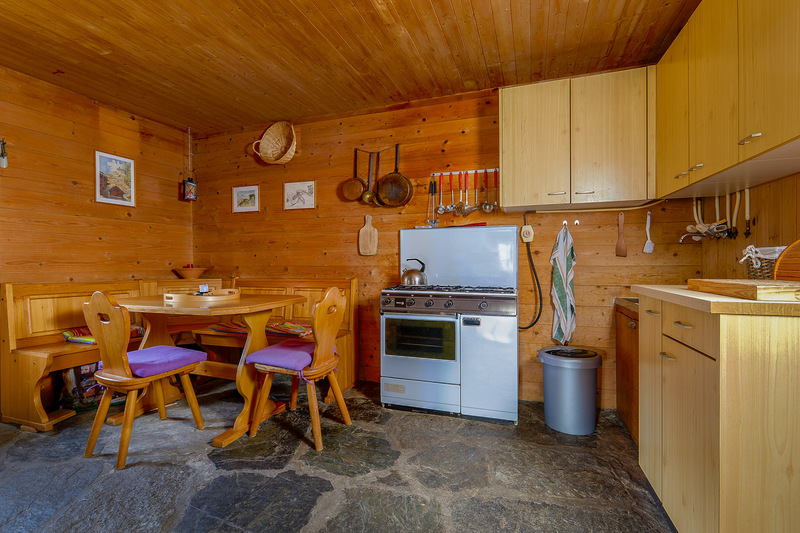 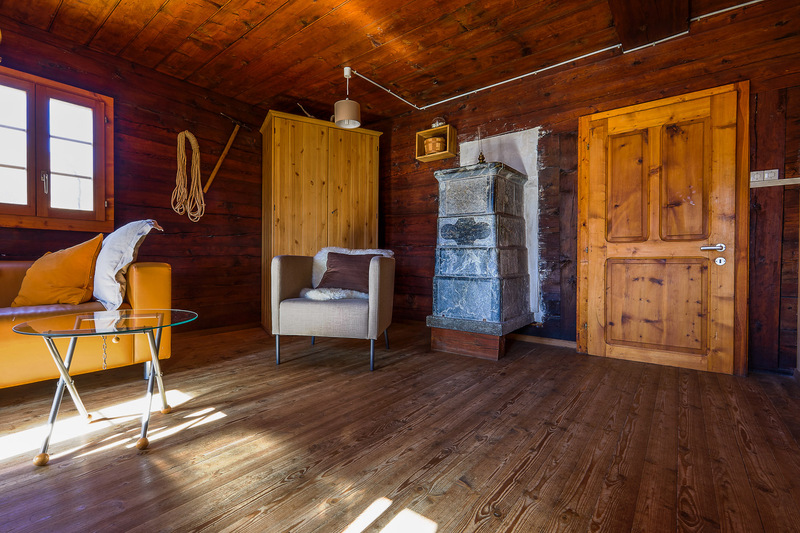 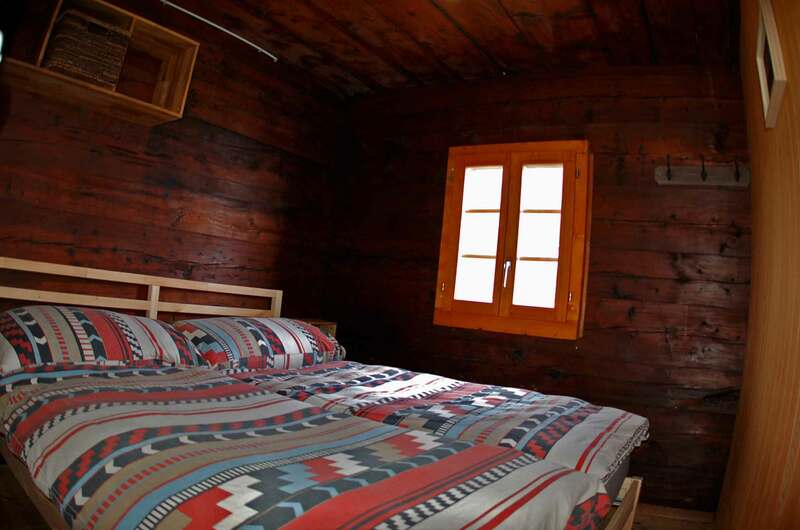 The Eagle’s nest Mountain cabin (1800m/5’800 ft) is situated above Evolène, on a sunny terrace with a superb view of the mountain panorama of the upper Val d’Hérens : Dent d’Hérens 4’171m, Dent Blanche 4’347m, Mont Collon, pigne d’Arolla, Dents de Veisivi, etc… A road accessible to vehicles affords easy access to the vicinity of the chalet which however is completely secluded. 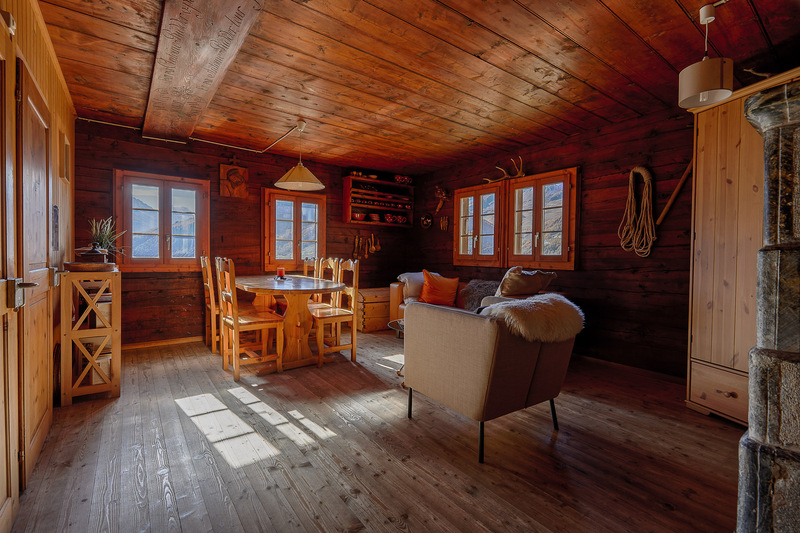 Comfort and authenticity , silence and exceptional views. 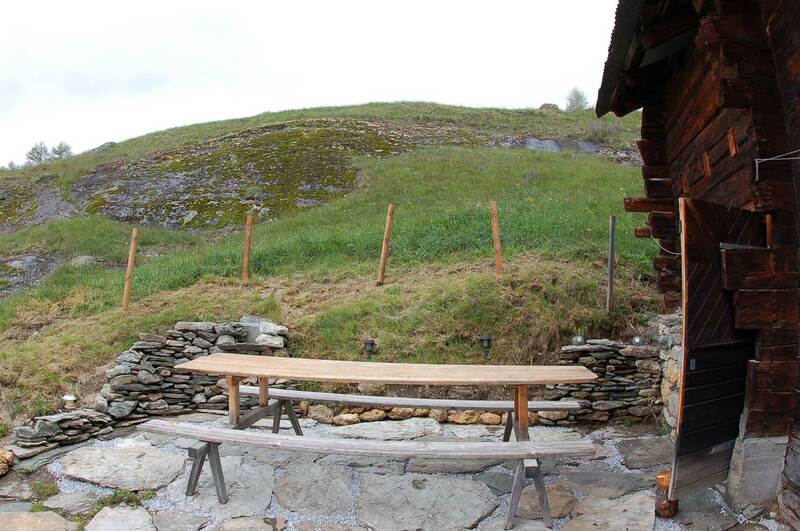 Evolène: the perfect destination for hikers and mountain lovers. 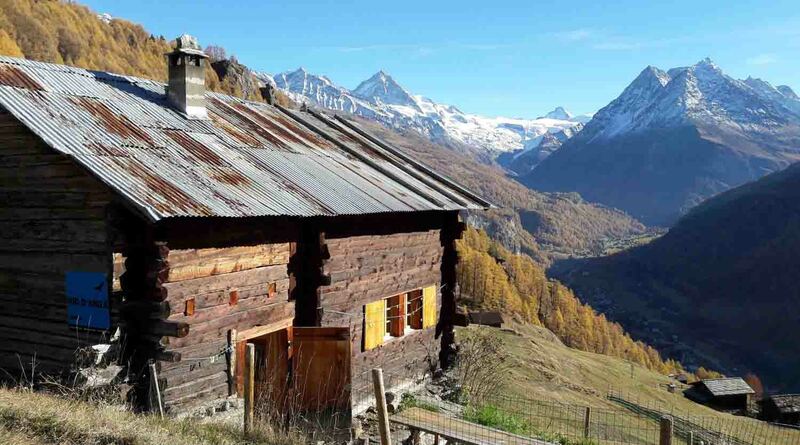 The Val d’Hérens remains one of the most unspoiled valleys in the Alps: nowhere in the valley will you see the huge condominium buildings or the mountain-sides defaced by overdeveloped ski-pistes that have become so common elsewhere. 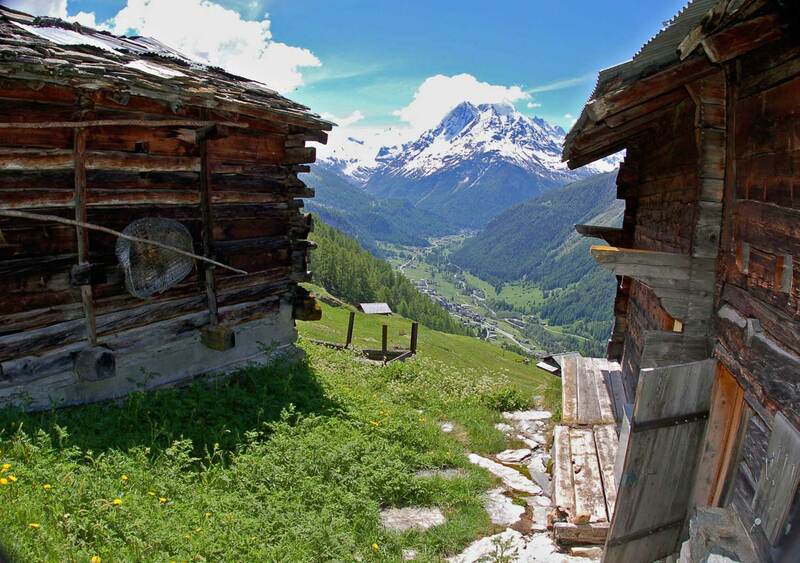 The Hérens Valley is still essentially agricultural, and the villages remain small, traditional, and strikingly picturesque. 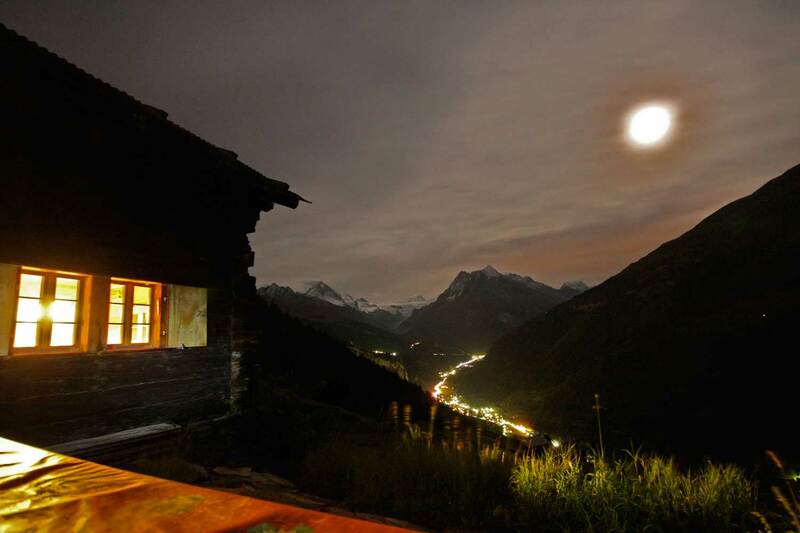 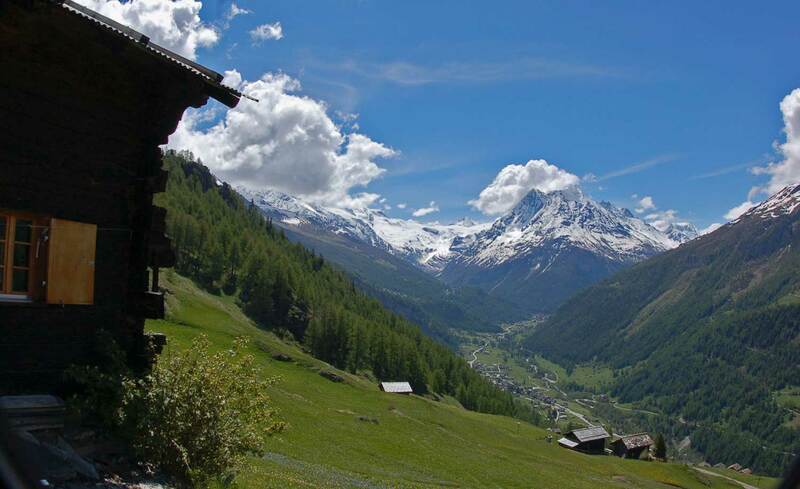 They are nestled among some of the highest mountains in the Alps, including the Dent Blanche, the Pigne d’Arolla and the Matterhorn, making the valley a perfect spot for both active and contemplative vacationers.